December is in full swing at my house. Today my son told someone that the best thing about this week has been every day's advent. Do you do an advent? We have a cute little advent with doors where I can place a treat and a note of a special activity we will do every day up until Christmas. These activities are what I love to record in my December Daily. That way when he gets older he can see how special this time of year was to our family. This year I knew I wanted my album to be a hardcover with a lot of room. 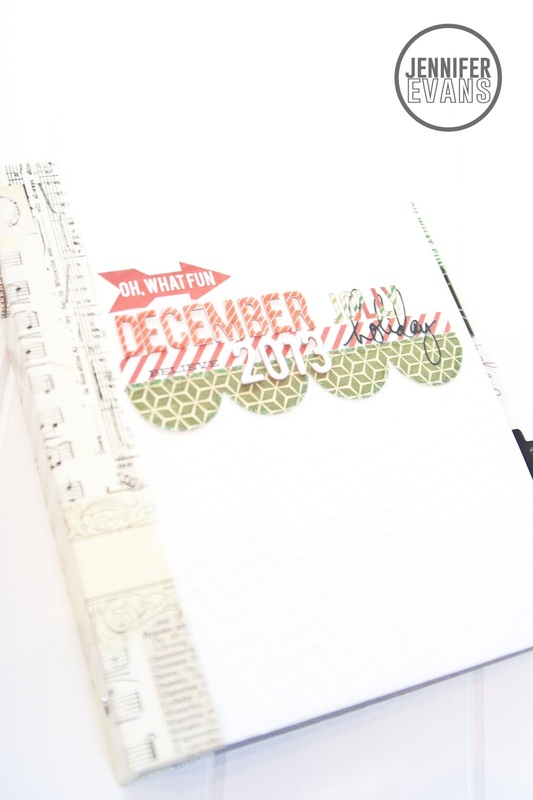 What better way to do that than with Heidi Swapp's Chipboard Embossed Album. I painted the cover white.... I love white and red during the holidays. It makes me so happy! I then added a Banner Delight as my trim. The glitter just pops! Afterwards, I placed the rub ons from the Memory File Kit. They went on like butter! For a last touch, one of my Epiphany Crafts charms didn't have a bale in the package. 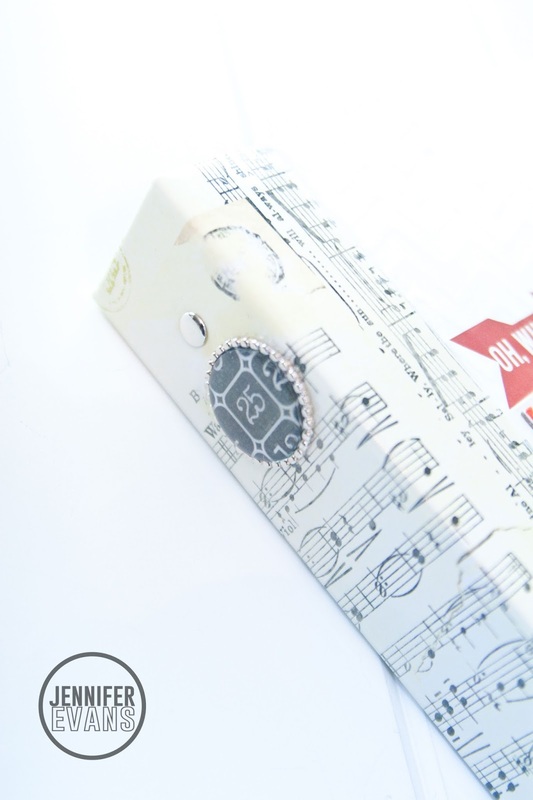 It was the perfect embellishment for the binding! That way when it is on the shelf, I know what is inside! Create Well: Give yourself plenty of room to tell your holiday story.